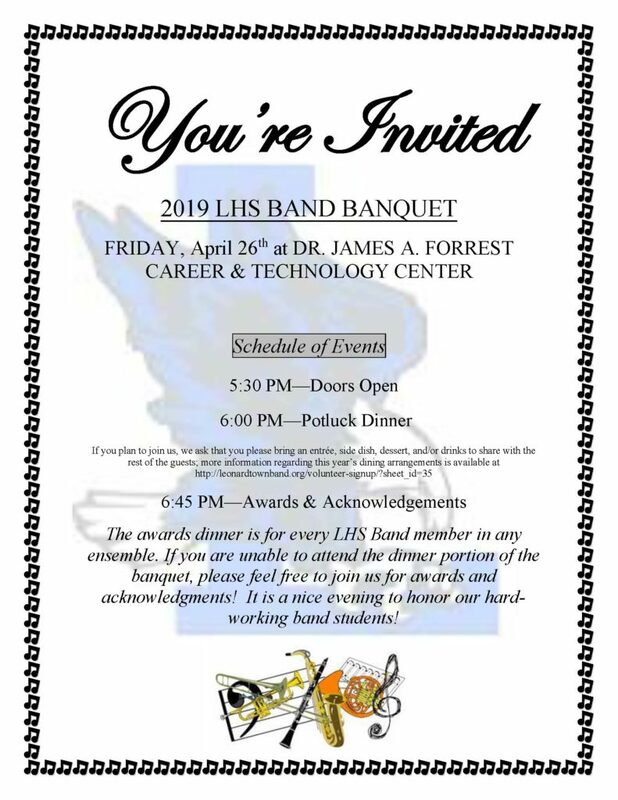 Please join us for this year’s Band Banquet at the Dr. James A. Forrest Career and Technology Center on Friday, April 26 from 6-9 PM! Please sign up to bring a dish to the band banquet. http://leonardtownband.org/volunteer-signup/?sheet_id=35 no later than Wednesday April 24th.